The Site That Works For You ....Client Support is our Specialty! Serving thousands of clients since 1999, we are an integrity-based company dedicated to providing a wide range of services to those men who are interested in finding a compatible Russian wife, usually beginning with email correspondence, web-cams, and interpretive phone calls and graduating to a face-to-face meeting, engagement and marriage. Our objective as an full-service marriage agency is a commitment to client's satisfaction, and the approach that we suggest is both practical and proven to produce results, and scam-free because all profiled ladies are screened and verified. We provide match-making and marriage support services to our international clients from all countries worldwide with offices located in the USA and Russia. A Volga Girl profiles hundreds of Russian ladies who have expressed a sincere desire to find emotional stability in a loving and lasting relationship with a foreign husband. These ladies are mostly college graduates working in professional careers who are honest and sincere. 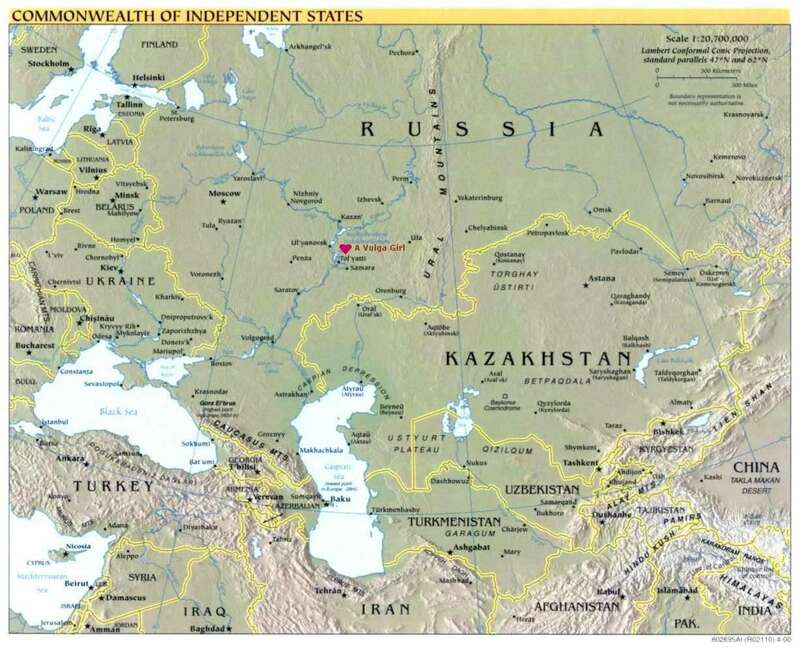 Approximately 85% of our profiled ladies live within minutes of our "sister office" located within the central Russian city of Togliatti (600 miles southeast and a 90-minute jet flight from Moscow) and the rest live within a 3 hour radius. There are no monthly or membership fees, our services are pay as you go for what you use. To get started you need to register under "New Users" and costs are $8.50 for lady's profile purchases, e-mails are $3.50 and translations by my professional staff are 2 cents per word (US$). See "Order Page" for discount packages. Latest authoritative Ukraine-Russia bride guide rates A VOLGA GIRL top agency in Russia: Dr. Walter Parchomenko, a Fulbright Scholar and distinguished professor, has just published his independent and very critical study of the most reliable and best value dating-marriage agencies in Ukraine and Russia. Dr. Parchomenko found these agencies to meet the following essential criteria: excellent customer service, stringent scammer protection, an established company history of more than a decade, and numerous positive testimonials with the names and photos of former clients. Each agency also guarantees that the women they accept are real and carefully vetted by staff before their profiles are published online. Significantly, each of these agencies is the product of a successful marriage between a Western man and a Ukrainian or Russian bride. Dr. Parchomenko's new book is the first Ukrainian and Russian bride guide to provide a GPS-like roadmap for serious Western bride seekers. It makes all the major, hard decisions online and in-country any man will need to make in his bride search, including selection of a totally reliable, full-service marriage agency in Ukraine and Russia, and a scam-free apartment rental. Unique features of this guide book include: a four-month timetable from the start of a man's online bride search to the time he boards a plane for Ukraine or Russia for a two-week vacation and adventure of a lifetime and a systematic bride search; findings from a survey of 4,000 women's profiles on websites; results from a review of 200 men's testimonials about their bride search experiences in Ukraine and Russia. Engagements and Marriages: A Volga Girl has had 100s of engagements and marriages since 1999. In fact, when a client corresponds with 3-4 ladies over a 3-6 month period and than travels to Togliatti for a face-to-face meeting with each lady, our clients have had a 75% success rate of becoming engaged and later married resulting from a single 7-10 day trip to Russia. The success rate has even been higher for clients to travel to meet ladies more than once. In addition, we track most of our clients in their marriages and we have had only a 5% divorce rate in our company history. We are averaging from 1-3 engagements or marriages per month resulting from correspondence and our client visits to Togliatti, Russia. Also, we have had 100% success in our engaged clients obtaining Fiancée Visas for their ladies to travel the client's home country for marriage. Please see our Success Gallery for more details. A Volga Girl has recently been featured on National Geographic TV, BBC Network and NETFLIX to name a few. You too can be the next client to be engaged and married to a lovely Russian lady! Man is not made to live alone!! One question we get in our counseling of perspective clients is "why would a lovely, highly educated, family-oriented and classy Russian lady want to seek a foreign husband"? Well, a good and loving man is considered gold in Russia. It is very difficult for a mid-20s and older lady or a previous married lady to find a good man to marry in Russia. There is definitely a shortage of eligible males in Russia with 10 million more women than men. Thus, some ladies are adventurous enough to seek their happiness with a foreign man. These ladies are not anxious to leave their homes, families and culture but they will do so to have a family of their own and a good and loving husband. Ms. Elena (Helen) Bessonova is currently A Volga Girl's Owner and President. Many important questions can arise throughout your process of finding and knowing your suitable Russian bride. Having worked for US-based A Volga Girl, since 2001, Elena (Helen) has acquired a wealth of knowledge and experience that she is eager and willing to share with you. 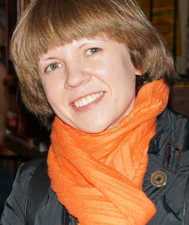 For searching Russian women, A Volga Girl offers a personalized and professional one-stop online system. Upon their return from Russia, our satisfied clients consistently assert that our staff was always eager and willing to offer their assistance. Most importantly, we at A Volga Girl look beyond your initial contacts and strive to be a guiding force through all phases of your Russian bride search, including Visa and Immigration Services and other post-correspondence services. All of which ultimately leads to facilitating your ultimate goal ... bringing your future bride to you and obtaining legal residence in your country. A Volga Girl has a standard practice that guarantees your initial investment with all letters of introduction sent to the Russian mail order brides through our site. In the event that an initial contact goes unanswered or your invitation to correspond is declined, we will issue you a lady's profile, message and translation credit without additional charge. This company policy is one-of-many that has allowed us to build a well-earned reputation as an industry leader in overall client satisfaction. All email inquiries are answered promptly and in a deliberate and thoughtful manner. Most competitors overlook much of this, which places A Volga Girl in a prime position to be at the cornerstone of your marriage success. Utilize our breadth of services for your Russian bride search, and you will be very grateful that you did. Alternative Dating Story - : Alternative stories and articles about being single. Newest alternative stories. www.datingsoftware.org Online Dating Software for your Online Dating Business! - Open Your own profitable online dating business with our Professional Online Dating Software! Alternative Dating Story - : Alternative stories and articles about being single. Newest alternative stories.